Do you need a miracle in your life? Does your marriage look hopeless? Does your wayward child or addict relative seem like they won’t come back? Are you depressed or anxious and have battled it for years? Keep on praying and persevere. Joey and Lauren are living proof that God is still at work doing miracles. Just last year I posted this video from our friend Brian Haynes’ church. 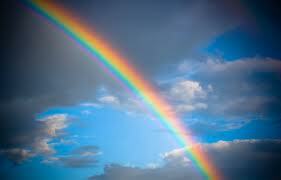 It encouraged me in a dark time when I was feeling very down about my own circumstances. Over the last couple of weeks, I went with my husband and two kids to Israel. Guess who was on the trip, too? That’s right, Joey and Lauren. It took me a day or two of trying to figure out where I knew them from, and it was this video! If you are contemplating divorce, take heart, God can work in the hardest of hearts. Just ask Joey and Lauren. If you need a miracle, I hope that you’ll be encouraged like I am by Joey and Lauren’s story. 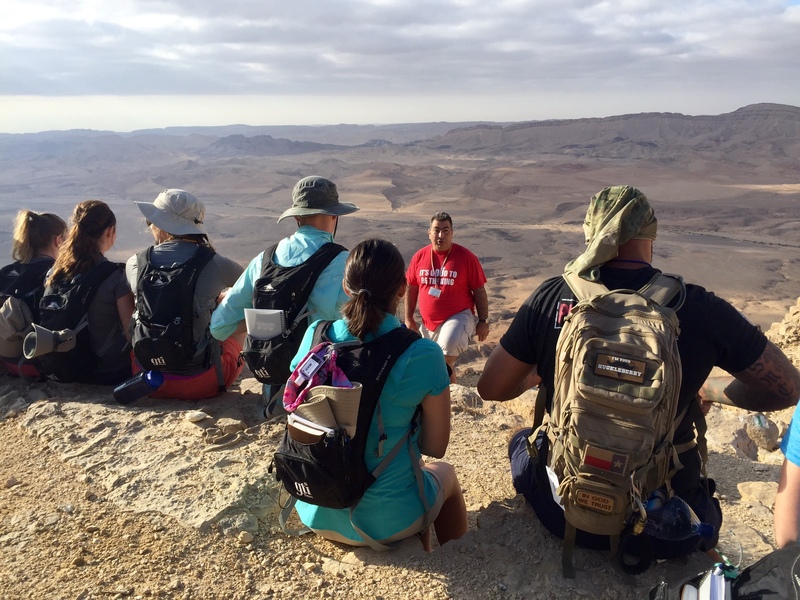 It’s not just a story, it’s a reality that I had the joy of seeing lived out in front of me for two weeks as I hiked with them and twenty-something others in Israel. They are real, authentic people who are in the process of loving God and loving each other. It is beautiful and a joy to see! 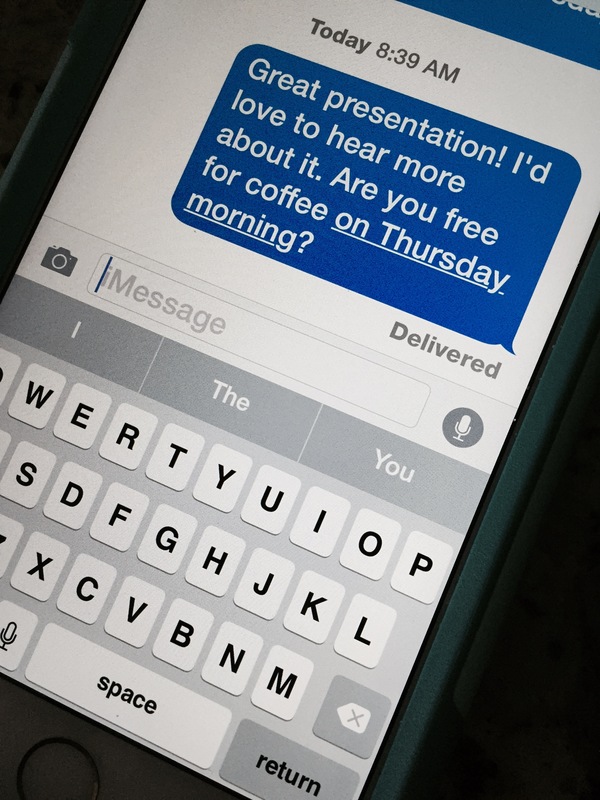 Today’s text from our friend Brian Haynes will speak for itself: God moments happen all around us all of the time. I love that God is constantly at work in people, in marriages, and in churches. If you need hope for your life, your family, your marriage or your church, take 6 minutes to watch this short documentary. It is a God story. Or you call and ask your friend to teach you to apply makeup because she is so good at it, and you’ve always been a granola kind of girl and you have no idea what you’re doing. She’s delighted that you asked, and you make a day of it, including lunch and coffee. Girl time, she shares her expertise, and you look and feel great. Win/win/win! One of the great things about mentoring is that it is really a two-way street. Although as a mentee, your goal is to learn and glean wisdom from your mentor, they are also learning from you. I meet with a younger friend periodically in a mentoring relationship. Recently as we visited, I was telling her about a struggle. She posed a question as a possible solution that pierced my heart as soon as it left her mouth. Her words ended up being the very thing that catapulted me into freedom from that struggle. 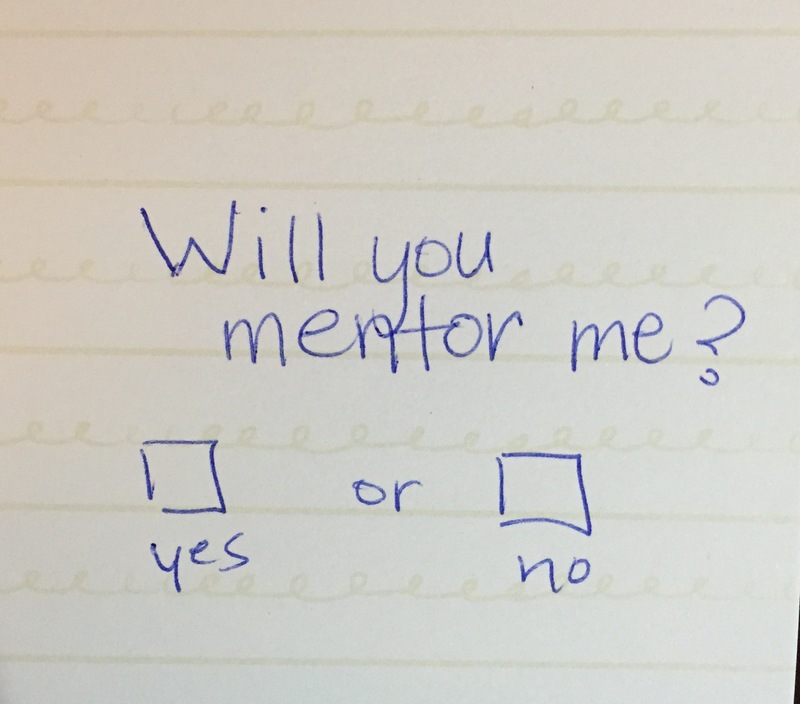 You may find, like I did, that if you are in a mentoring relationship, you learn as much (and more) from your “mentee” than you thought you would. Life’s kind of funny like that. Some of my best mentoring relationships have been covert ones, kind of undercover. Let me explain. My kids are pretty much grown now, but when they were little, I would watch and observe my friends parent their young ones. Many of my friends mentored me in parenting even though they didn’t know it! I learned so much about how to discipline my children, parent them, and creative ways to teach them things I hadn’t thought of- just by observing other families in action. The same goes for marriage. We have several good friends with thriving and enviable marriages that are fun to watch. I glean so much from watching them do life together. That’s casual mentoring. They probably have no idea that they are mentoring me (unless they are one of my 50 readers, Ha!) but I have learned more from them than any marriage seminar could ever teach. Why? Because it’s real life. Practical. I learn from that. What about you? 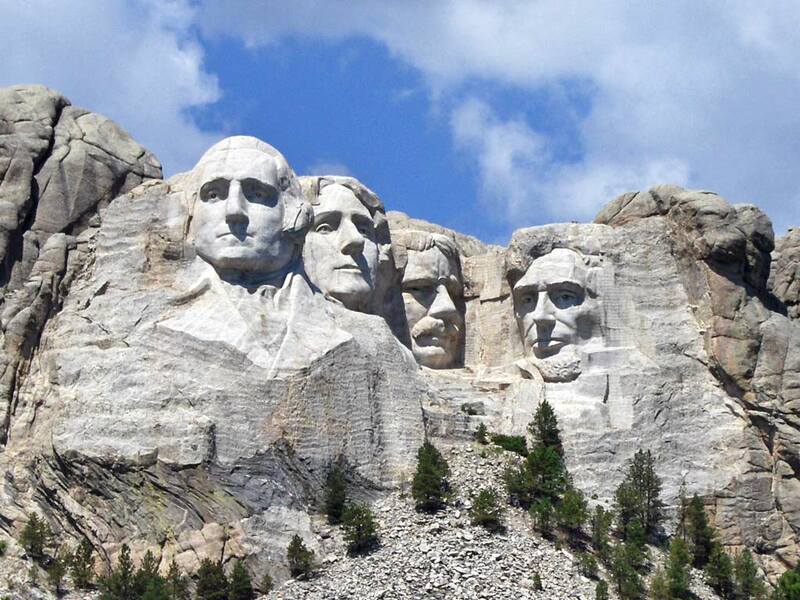 Who is on your Mount Rushmore of mentors? My dad and I did a little excursion this week to visit graves of his parents. As we walked through the cemetery, I was captured by the oldest headstones. One day, inevitably, 60 or 70 years from now, my name will be on a headstone. It may say something nice, like “Loving Wife, Mother and Sister” (only because they don’t put stuff like “This Mama was cranky before coffee or time with Jesus” on headstones). 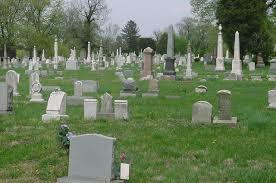 It may be next to Herschel or in a family plot. But one day, after I die, what really matters and the only thing that matters is what I have done that is of eternal value. Sixty-five years from now, when someone walks by and looks at my headstone and sees “Christine Rothchild, Loving Wife and Mother”, they’ll never know that I was creative, and disorganized, and that I love coffee. They won’t care. All that will matter are the generations below me that have been affected by my life and what I have done to pour into them that lasts. That thing that lasts is a relationship with Jesus Christ through salvation and giving your life to Him. There is no other thing that matters. Jesus, Jesus. How beautiful and powerful a name. I often uttered it in scorn. In my most frightened moments, when I didn’t know what else to say or what else to do, it was the thing that I whispered and the fear would flee. The impending doom that would press in on my chest in those quiet dark moments would leave when I just squeezed out the name… Jesus. Now the name flows freely from my lips. It’s like a song. It has power, it has healing. 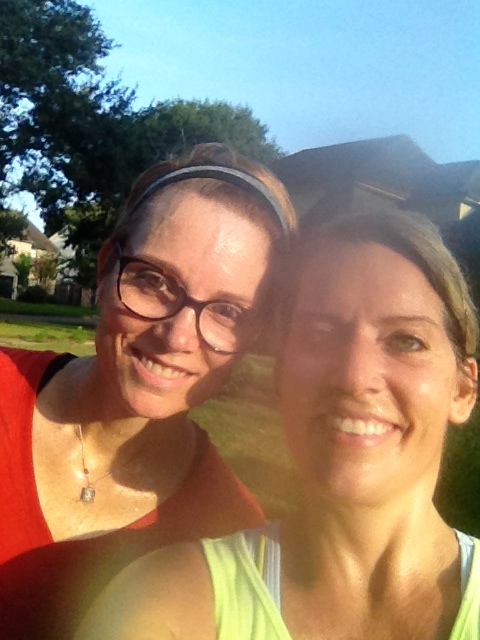 After a run and power-walk this week, my friend Lori and I took this sweaty selfie. You may be thinking what I’m thinking. Which is, “Wow.” If you’re a runner in the summer in Texas, after half an hour, you’ll have gnats sticking to the sweat on your face. It’s REALLY gross. But it does make you feel kind of hard-core. If you live around here and you’re a runner, can I get an “Amen”? Y’all know what I mean! We are all happy because we had the best time out there on Tuesday morning! We kept a steady rhythm of exchanging stories of the different things going on in our lives and in our families’ lives. There are some difficult things and some miraculous things happening in our families. We just couldn’t stop talking and we were giddy with excitement with how we see God at work in our circumstances. By the end of it all, we realized that we probably didn’t run as much as we had wanted to, but that was ok.
We’d had one of our best mobile outdoor praise and worship services, gnats and all! P.S. I am RUNNING AGAIN!!!!! I’m so excited and grateful to be feeling well enough! I’m adding in a little at a time, and right now I’m at 1.25 miles as my max at one time. 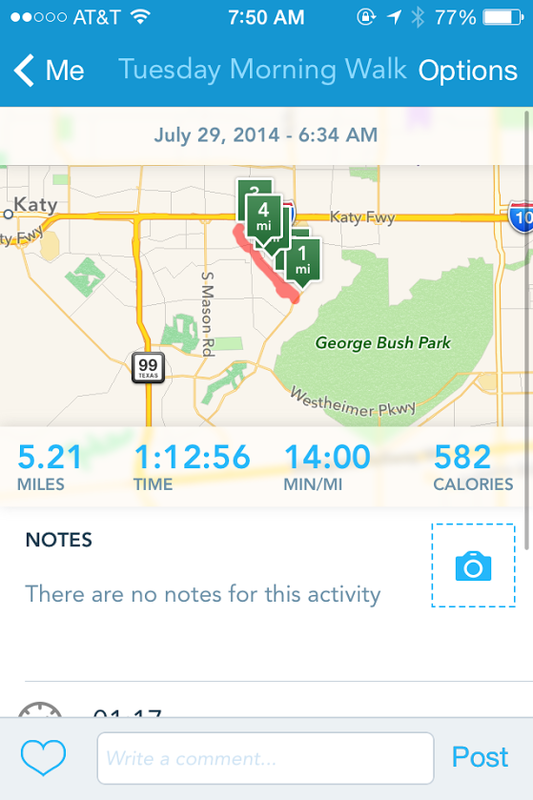 Besides that, I’m adding in shorter run intervals and plan to string them together. Wooooohooooooooo! 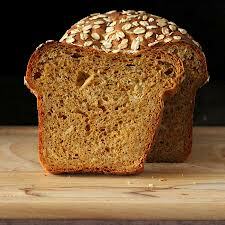 The overall theme of my life right now is daily bread. Do you ever feel as if you don’t have enough time/energy/resources/health to accomplish your daily plans? I have felt that way and struggled for the past few months because of health challenges. I have often felt frustrated and incompetent because my body doesn’t always cooperate with my plans. With my health situation, I am not sure from one day to the next if I’ll be able to follow through on my daily plans. This can be discouraging and sometimes makes me downright angry. Until a couple of months ago. In February we visited our friend’s church and ironically, the sermon was about healing. We were reminded that God does hear and answer our prayers for healing. However, He doesn’t always answer the way we want Him too. I don’t want to sound irreverent, but uggggghhhhhhhh. Sometimes He doesn’t answer the way we want. He still loves us in spite of that and His ways are higher than our ways. When He doesn’t answer our prayers with a complete healing, we can trust Him for our daily bread. Here’s what I mean by that: Like the Israelites in the desert, He lovingly supplies what you and I need each day. Not what I think I need, but what He knows I need. This truth from Pastor Brian’s sermon has coincided with a study that I’m doing on the Old Testament tabernacle in the wilderness. Just so happens that I keep going back to the subject of daily bread and manna that God provides for His newly freed people. I am still facing the same physical challenges and health issues, but I’m not so frustrated and angry for the past couple months. I am trusting God for my daily bread. On the days when I feel like it’s only a few crumbs, I’ve started asking God what does He want me to do with the bits that He’s provided for that day. If you have thirty minutes, check out this great video of the sermon that I mentioned above. Photo credit: Vegan Richa Richa is one of my favorite food bloggers. Beautiful pictures with delicious vegan food.